Most visitors to Paris love the city—and I’m no exception; I adore it—and most come in July or August. It’s the time of year when Parisians flee to the countryside, abandoning their parks and boulevards to hordes of tourists. Paris had been declared an open city and was already occupied by the Wehrmacht by 17 June 1940, when American journalist William Shirer arrived as an unenthusiastic tourist. Shirer was chief of Universal News Service’s Berlin office. If Shirer was saddened by the empty streets and shuttered store fronts—the collapse of French society, as he saw it—at least two Frenchman were doing something about it. In Brive-la-Gaillarde, Edmond Michelet was distributing pamphlets in all of the mailboxes in town, encouraging his fellow citizens to continue the fight. 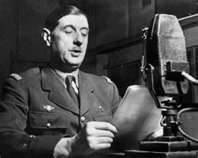 In London, de Gaulle broadcast the same message over the airways. These fledgling acts of resistance could not affect the the outcome of the battle. The French asked for terms, and an armistice was signed 22 June. 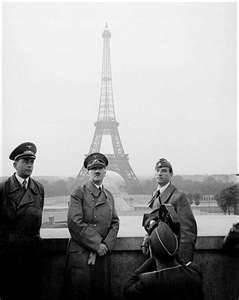 On 23 June, Hitler toured Paris and—by all accounts—enjoyed himself. First he visited the famous Paris opera house, where he acted almost like a tour guide. He was a fan of architecture and had studied the plans ahead of time. In fact Hitler brought his own official architect, Albert Speer, along for the ride. They went on to visit the Madeleine, then drove down the Champs Elysees to the Trocadero, where the photo at the side was taken. Speer is on the left. He tells about the visit in his best selling memoir, Inside the Third Reich (Macmillan, 1970). 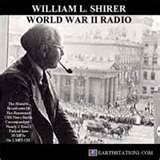 This entry was posted in Book, World War II and tagged Albert Speer, de Gaulle, Edmond Michelet, Hitler, Paris, Shirer. Bookmark the permalink.